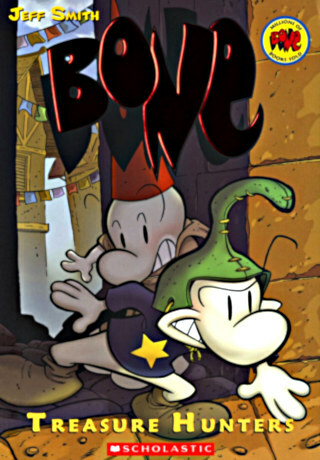 Yes, you have just finished reading Jeff Smith‘s Bone 8: Treasure Huntergraphic novel for free. So, why should you buy it?! Well. If you feel this graphic novel worth your money and you happen to have the means to buy an official copy, your purchase will definitely support the artist(s) and author(s) so they can create more awesome works. This site has no affiliation with the listed deal(s) and will not gain anything from your purchase. It will purely be a support for the author(s) and artist(s).